Welcome to VLV Associates, Inc.
VLV Associates, Inc. is a privately owned company offering a wide range of services to the healthcare community. Our manufacturing and development resources provide a versatile and rapid response on all levels of development and production, from concept and prototypes to packaging and final product. We have successfully developed products for world-wide as well as small scale companies. These products are used in Intravascular Therapy, Vascular Access, Urology, Hemodialysis and Enteral Nutrition among other areas. VLV Associates, Inc. was founded in 1982 by Vincent L. Vaillancourt as a consulting company to the medical device industry. From 1982 to 1990, VLV primarily conceived and developed its own products, marketing them through leading Fortune 500 medical device corporations, including Travenol, Chesebrough-Pond’s, Sherwood Medical & Stryker. 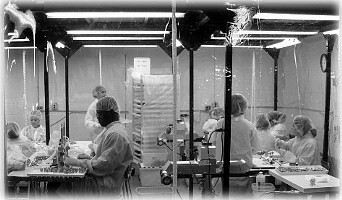 In 1990, VLV Associates, Inc. added an in-house manufacturing facility including two Class-10,000 cleanrooms, process and assembly equipment, and a Form/Fill/Seal packaging machine for soft blister packaging capabilities. 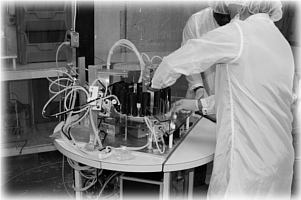 VLV Associates, Inc. is currently manufacturing products for use in Biopsy, IV Therapy and Urology in addition to continual contract manufacturing, including sub-assemblies and finished products. In the last 10 years, VLV has focused its R & D in the areas of needle safety, including safety introducer needles and safety huber needles. VLV has also added an additional 10,000 sq. ft. of manufacturing space as well as 3D prototype printing. Our strength has always been the ability to address the needs of the medical device industry by providing quality product through innovation and integrity.